Gynecomastia surgery, more commonly called “male breast reduction,” is a surgical procedure that eliminates enlarged breast tissue in males. This condition is known as gynecomastia and is characterised by localised fat deposits in the chest, excess glandular tissue, and excess breast skin. Gynecomastia surgery permanently eliminates gynecomastia and creates a more attractive chest contour so that men can feel more confident in their bodies. A major surgical procedure to remove excess skin and fat from the middle and lower abdominal and to tighten the muscles of the abdomen wall. Introduction: Pretty faces can be identified in a crowd. The width of an eye in between the eyes. Symmetrical eyebrows are conforming to the line of the nose. Space from the lower eyelid to the upper eyelid is the same as space between the upper eyelid and eyebrow. Eyebrow begins on the same line as the corner of the eye nearest to the nose. The width of the face across cheeks is equal to two lengths of the nose. 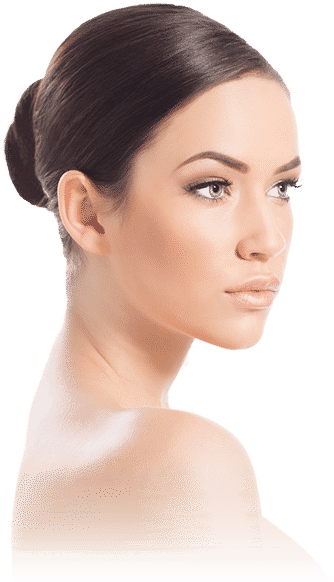 Prettyfication involves assessment of your face and photographs and then getting the proportions right with special nonsurgical techniques to turn you from girl next door to a supermodel. Common methods used for prettification are Juvederm XC injections and Botox injections. Juvederm is a USFDA approved filling substance which can be injected under the skin and on top of the bone to shape any facial feature. This process is just like sculpting with clay. So, cheekbones can be made prominent; nose bridge can be made sharper, lips can be made pouty and shapely. Overall change in face structure can be achieved by artistically using Juvederm at the right place in the right quantity. Botox is used to narrow the lower face and to arch the eyebrows. Prettyfication is a highly artistic procedure, and a trained eye and expert’s hands are required to create best results. Anyone above 18 can be benefitted with a Prettyfication. Usually, 18 to 30 years is the common age group. If you want to look more attractive, Prettyfication is the answer. Prettyfication changes your looks naturally without surgery, risk, healing time and without anybody knowing. You look more beautiful, but still yourself. Prettyfication can be done slowly to make it look even more natural. There is no downtime/ recovery time needed. Local anaesthesia cream is applied on the face to make it comfortable. The procedure takes less than 30 minutes, and you can go about your works after that. Occasionally there can be a minor bruise or swelling. These things disappear within five days and can be easily hidden with makeup. Please inform Dr Priti Shukla if you have any bruising tendency. Complete medical history should be revealed at the time of consultation. No medication or blood work is usually required.